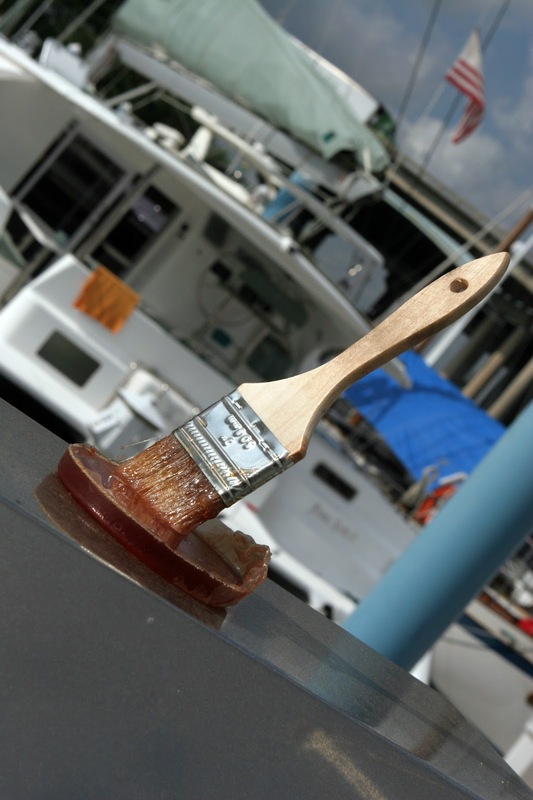 A brush from some boat work we did. When we went to see a movie at another kid boat, I have to admit I got a little jealous. Their boat is quite a bit newer than ours, has a nice modern layout, and is just not as tired as our 20-year old boat. I realize that they have a lot more money than we do (they still own their house and are having a vacation home built in an exotic locale) and spent way more on their boat than we did. But you have to appreciate a boat that looks clean after you have cleaned it. The feeling only lasted a short time though. I actually love our boat. It is home and it is right for us. The boys can live in it and drop their cars on the floor without ruining a perfect finish. It's our home now. Also, what we are finding is that having a newer boat does not preclude spending a ton of time and money on fixes. The spending-too-much-on-boats club has a lot of members.